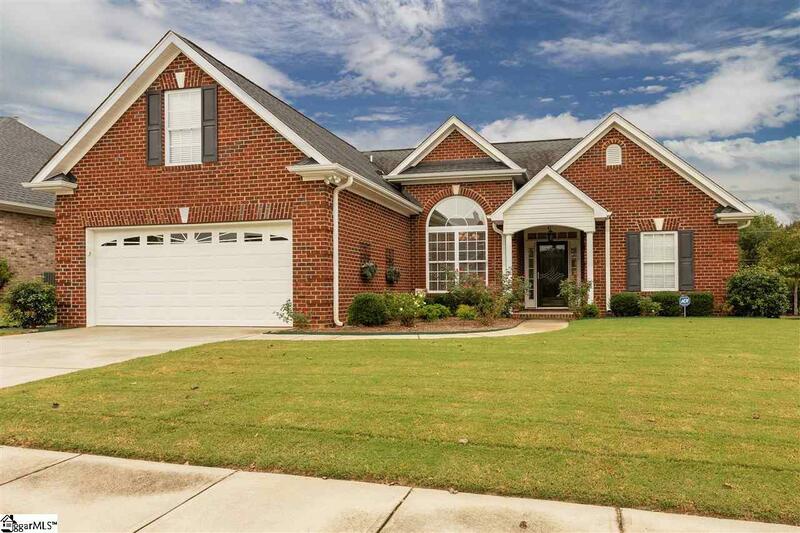 One owner, pristine all brick home in convenient and desirable Simpsonville location. Close to I-385 and West Georgia Road shopping. This 3 bedroom, 2 bath split bedroom, open floor plan home features neutral paint throughout, granite counter tops in kitchen and both baths, and tons of natural light. 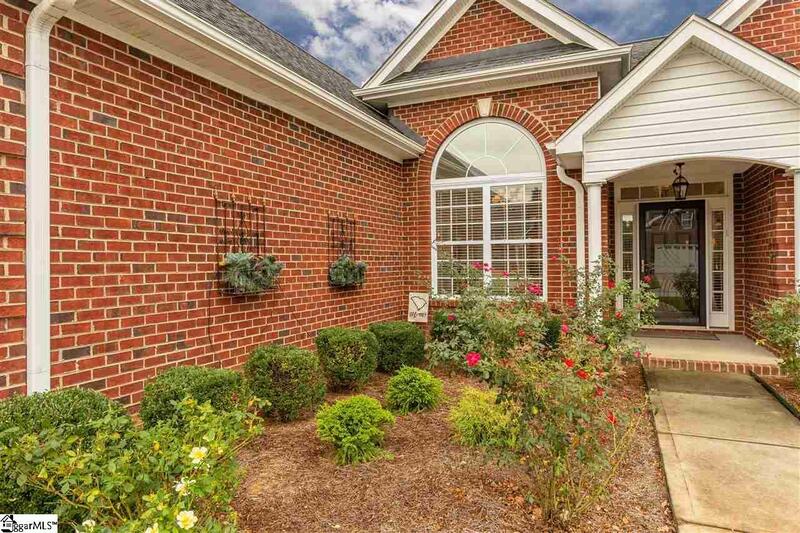 The open foyer area welcomes you with gleaming floors and columns, separating the bright dining room. The great room features vaulted ceilings with a beautiful full masonry gas log fireplace that is warm and inviting. To the right of the foyer are 2 bedrooms and a full bath. 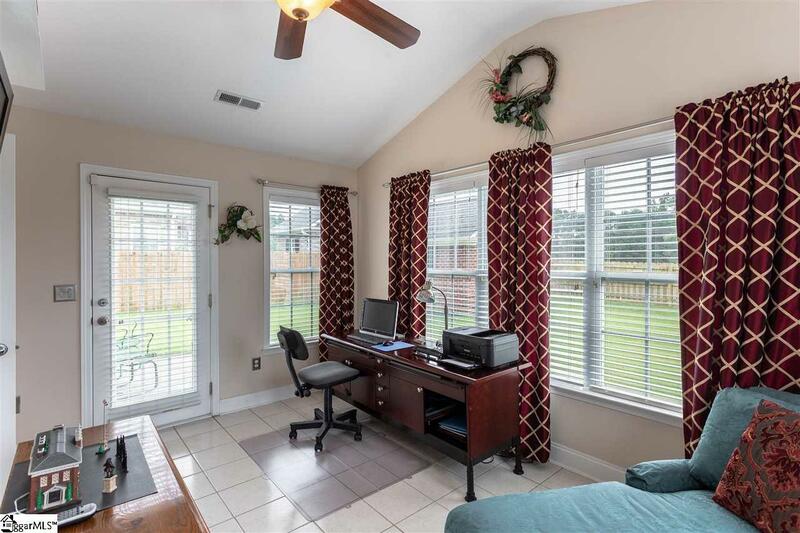 Tucked away in the back corner of the house is the master bedroom with trey ceiling, ensuite bath with dual sink vanity, jetted tub with separate shower, and a walk in closet. The upstairs bonus room can be used many ways, including playroom, exercise room, craft room, man cave and more! In the large walk in laundry room you will find overhead cabinets. 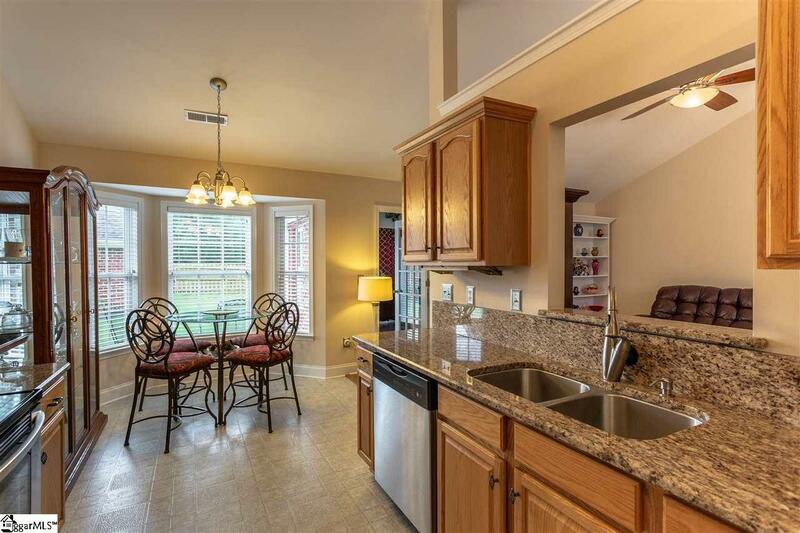 In the kitchen you will find stainless appliances and a breakfast area overlooking the backyard. The tiled sun room, located off the great room, is the perfect spot to cozy up with a book or to watch a football game. Outside you will find a meticulously maintained, fully irrigated yard complete with a beautiful outbuilding that matches the house.